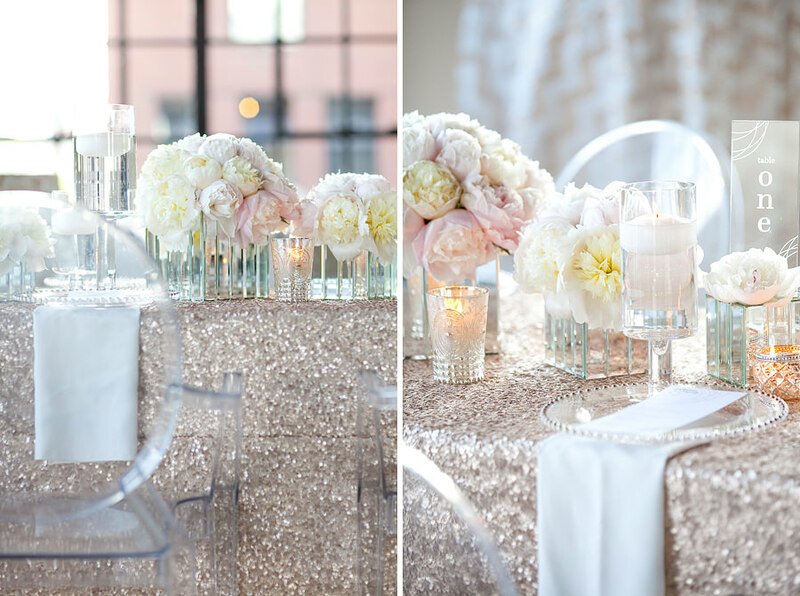 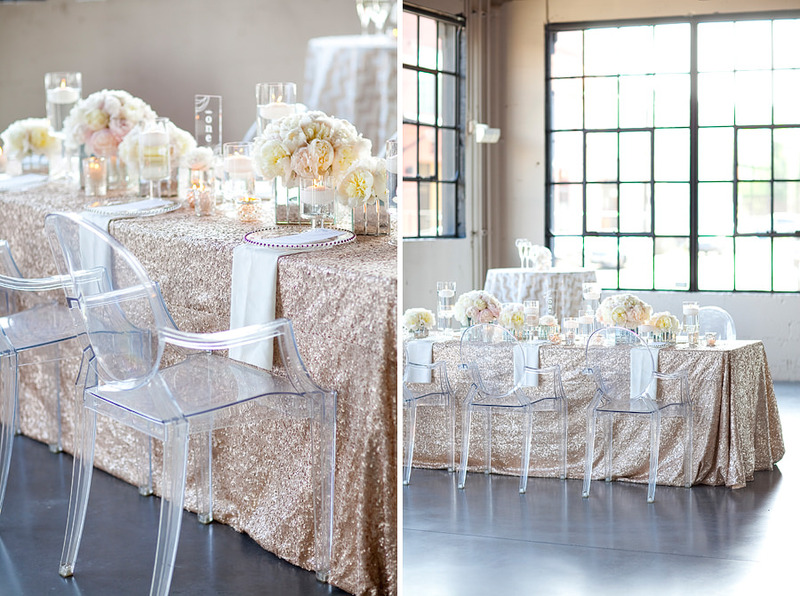 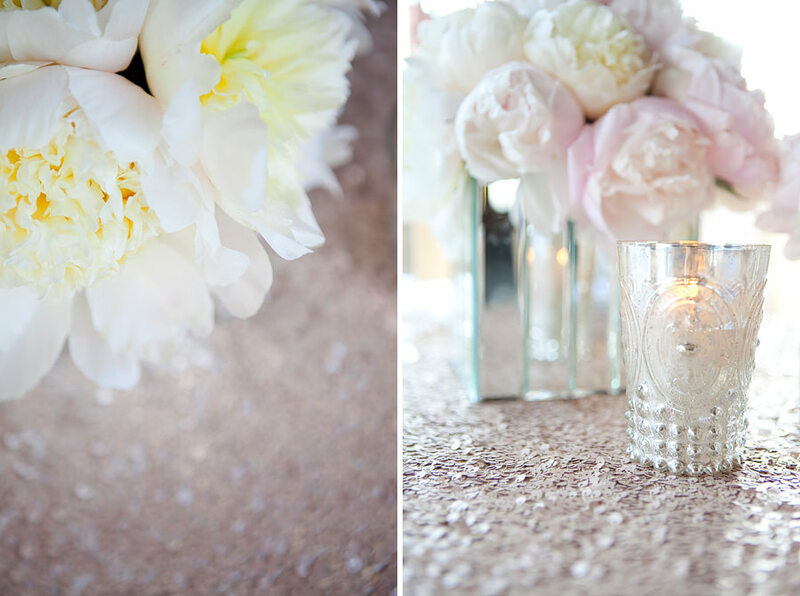 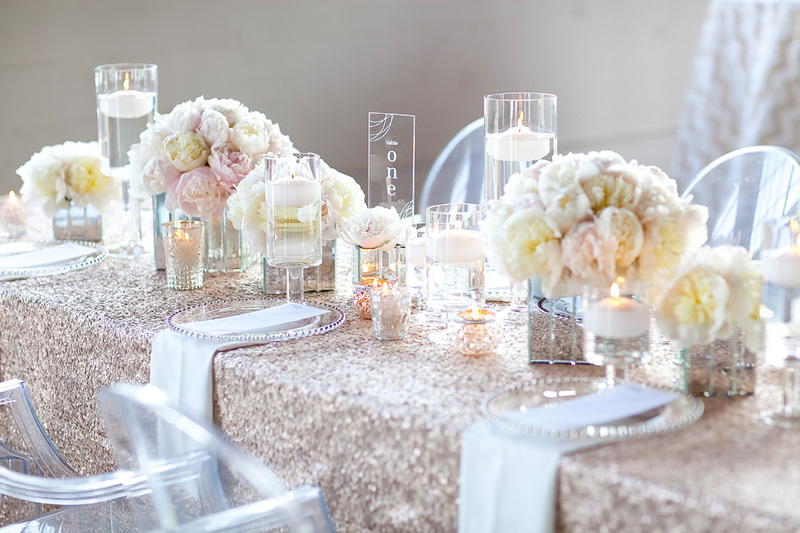 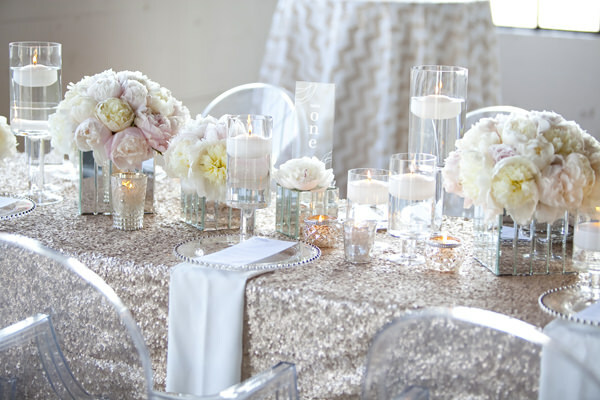 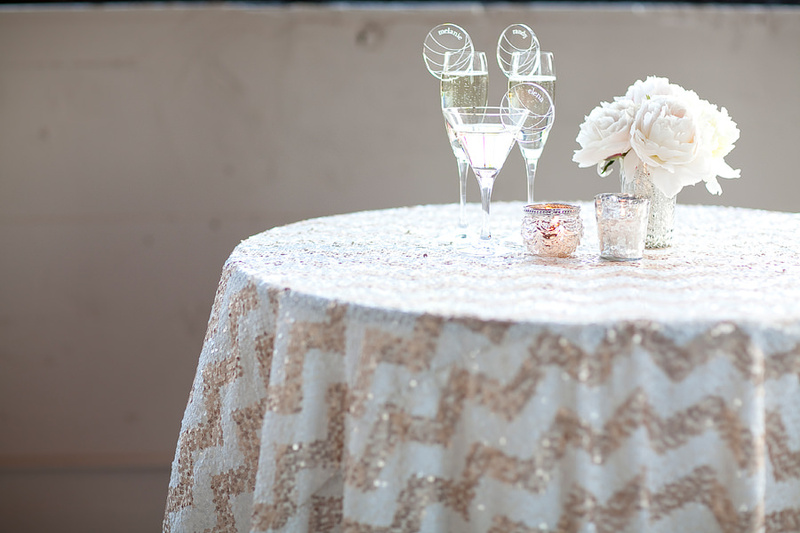 Pink peonies, sparkling pink sequin linens and sparkling tan and white chevron sequin linens, ghost chairs, lucite name tags, and beautiful candle holders all made up this awesome stylized shoot designed by Zest Floral and Event Design! 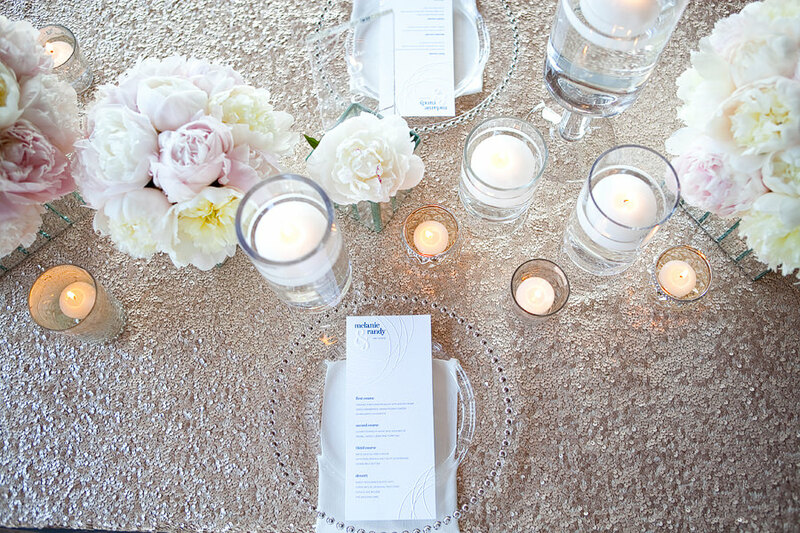 The menus, table number and design pieces were done by illustrator Astird Mueller! 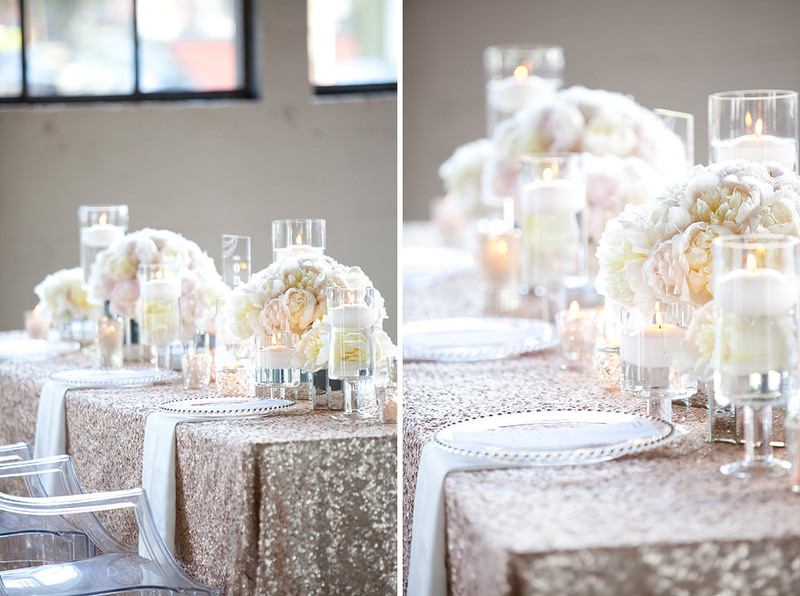 It was such a fun, collaborative shoot done at Castaway Portland. 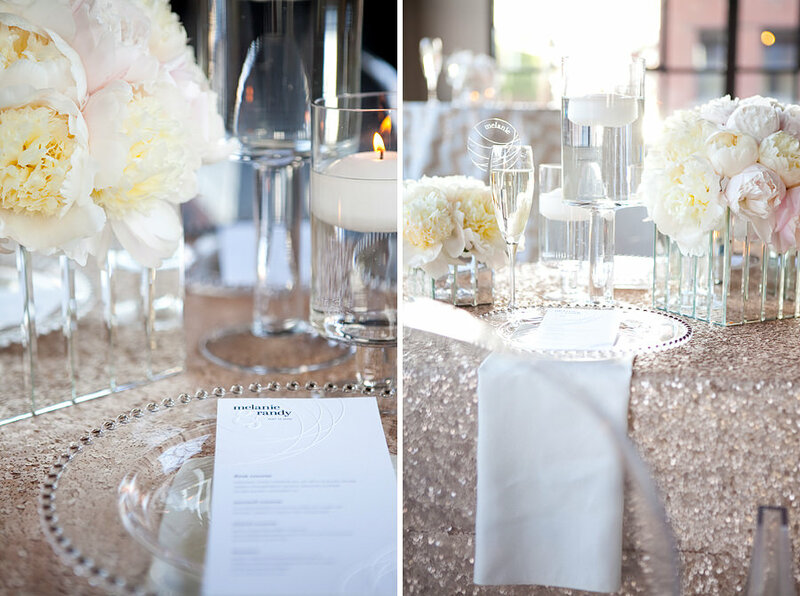 Stationary printing was done by Digby & Rose, and the linens were from La Tavola, the rentals were from West Coast Event Production. 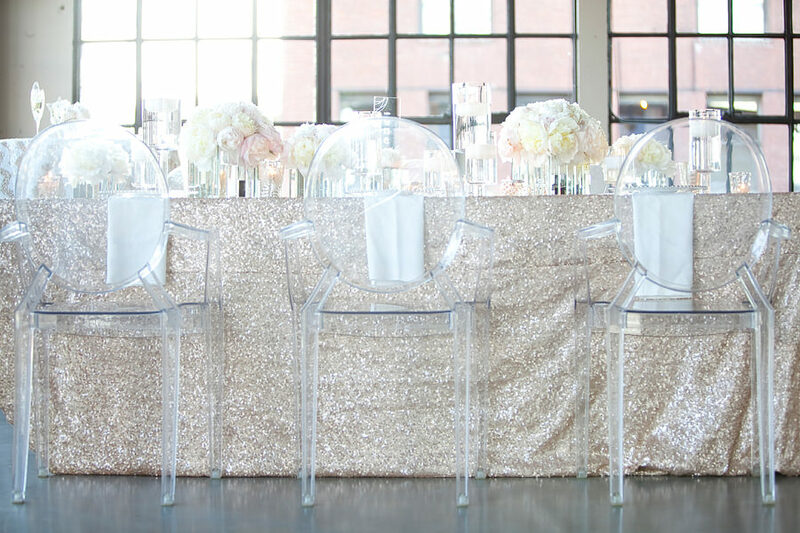 Check out the feature on Style Me Pretty, here!